We all went to Lattin’s Cider Mill yesterday…an absolute MUST visit every fall! They are nationally known for their excellent cider and people travel from miles around to taste their fabulous apple fritters…we had to wait in line 45 minutes to get ours, and believe me…it was worth every minute! They said that they premade 1800 dough forms for this weekend and they were already having to make an emergency batch to meet the demand. 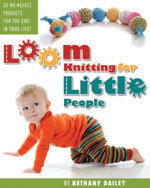 This entry was posted in Family Fun, Kids, Life, Loom Knitting, Marriage, Pets. Bookmark the permalink.